Are there specific ethical considerations arising from researching ‘in the open’? This part of the book will encourage open researchers to reflect on the wider implications of being open as well as approaches to ethical research. As part of their training, all researchers learn about how to collect, manage, analyse and disseminate data. This section covers the some of things they typically learn about ethics. It is not intended to replace formal training in research ethics although some training modules like these are available openly and will be referred to later. We’ll work through the process in stages. Our focus here will be on the differences openness can make to these research practices. As we will see, openness can raise problematic cases for traditional approaches to research ethics but also offers novel research possibilities. What kind of research do you want to do? What might the impact on human subjects be? Think of three ethical issues that might be raised by the research you want to carry out. Responding to the evolving ethical and practical challenges presented by new technologies: open data; social networking; privacy; anonymity; etc. These are all good answers, some more pragmatic in focus than others. At the practical end of the spectrum we’ll be looking at specific guidance shortly. But for now it might be good to reflect on the idea that research ethics is a very recent field – and one that was founded in recognition of the profound importance of the way that human beings treat one another. Most of the time educational research involves people as sources of data. Whenever people are involved we need to take care to ensure that they do not undergo any significant harm. We can understand research ethics as a set of principles (e.g. “do no harm”) or as a set of specific rules that can guide us in specific situations. Some people thought that if they weren’t doing research that could have an obvious impact on human well-being – such as medical or psychological research – then they were less exposed to ethical risks. There may be some truth in this, but the range of possibilities for harm are typically broader than this. We also have to think about privacy, data security, and the longer term implications of sharing research. This is why institutional ethical codes usually refer to experiments that involve human subjects in any capacity rather than just those taking part specifically in medical or psychological experiments. Even information about a person that might seem trivial or inconsequential can have ethical consequences. Usually ethics is addressed in institutional research by adhering to the ethical guidelines set out by one of the advisory bodies that exists for almost every public entity that might be conducting research at some point (e.g. the guidance published by BERA or NIH). These bodies in turn are typically informed by medical ethics as expressed in the Helsinki Declaration (composed in 1964, partly as a response to the unethical research practices that surfaced in the aftermath of World War II). 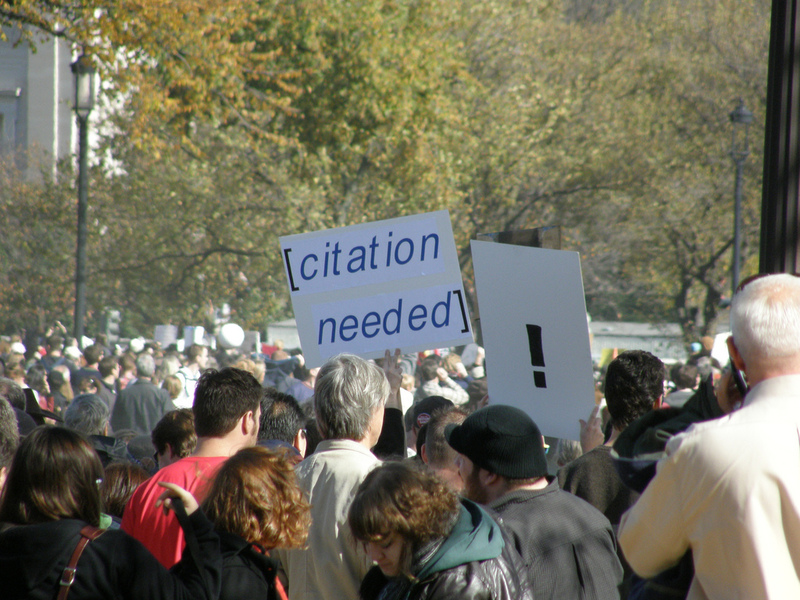 Institutional Review Boards – the term used to describe institutional research ethics approval committees in the USA – are a direct descendent of this declaration. Central to most institutional research ethics are guidelines relating to all stages of the research process and what can and can’t be done. There are institutional rules, but there are also various forms of guidance offered by research governance bodies. The following table (adapted from Farrow, 2016) highlights the principles underlying the guidance offered by three major UK research governance bodies: the Economic and Social Research Council (ESRC); the British Educational Research Association (BERA); and the British Psychological Society. While the wording can vary, most of the advice given is quite consistent. This is because most research ethics guidelines can trace a common origin back to the aftermath of World War II. for the conduct of research. Download a PDF, Word or RTF version of the above table. Are procedures more or less the same across institutions? What kinds of things seem to be the main concerns? How do institutional reviews try to assess the risk of a particular activity? What kind of strategies for managing risk are proposed/possible? Are there difference across institutions? Are there differences across subject areas / disciplines? If you’re not at an institution then you could find one that might apply to you in the future or one from an institution that is near to you. If you can’t find one then you can use the information provided by The Open University: OU Ethics Principles for Research Involving Human Subjects. It’s somewhat rare to find a research institution that does not have a code of institutional ethics (at least in the Global North). But this is not to say that there is much diversity: most institutional research ethics codes are the same everywhere around the world, even where they aren’t written down formally. This is partly because there’s a shared family tree – all the different institutional codes express very similar principles. One difference is legal compliance, which obviously varies according to country. Institutional review should ensure that any research carried out is legal, but it should also go beyond this, asking whether the work can be ethically justified. So, what’s the difference? Many things are legal but arguably unethical, such as adultery, sharing private correspondence, failing to keep promises, jumping queues, and so on. Institutional review is intended to maintain the highest ethical standards, not just compliance with the law. What happens when you’re not affiliated to an institution that has an ethical review panel? You might be working with open data with no-one to supervise the project in this way. Does this entail that everything you do is ethical as long as it is legal? We’ll consider this in more detail in the next section. You can find the training at https://phrp.nihtraining.com. It’s free and takes about three hours to complete. Completion of this training module is required by many institutions in order to receive ethical approval to conduct research. As an open researcher you will need to ensure that you have any required institutional permissions in place for the work that you want to carry out. Once these permissions are in place then the rules of the institution should be followed. They will normally define the kinds of behaviours that are acceptable. However, it should not be assumed that any behaviours not specifically mentioned (or forbidden) in institutional guidance are acceptable. If working outside institutional processes (e.g. using Facebook or other social networks to connect with adult learners) you should take every precaution to make sure that your research adheres to the principles of ethical research. Generally speaking, it’s not enough to simply get institutional ethical approval at the start of a project. Next we’ll think about how we might observe these principles if we are working completely outside of institutions and have no requirement to gain permissions for a research project. Now consider the suggestions for an open research process available here. Do you think that there are potential ethical issues raised by the suggestions made for ‘open research’? Would they be covered by the principles outlined in the previous activity? If not, are there new principles that we need to use when working ‘in the open’ (without institutional rules)? What might they be? Networked, digital and open technologies present us with new possibilities for thought and action. It’s become much easier to do make decisions that can affect a lot of people, as we saw in the Facebook example. How ethical principles are applied is context sensitive, so it’s important to keep reflecting on how these inform your work. An important element of ethical judgment is familiarity with ethical issues and how they are usually dealt with. Sharing your experiences with other researchers can be helpful. If you’re working without formal support you will need to strike a balance between the exciting possibilities of ‘guerilla research’ and the need to exercise good ethical judgement throughout the research process. Sometimes the impulse to be open can be in tension with our ethical expectations. One course participant raised the example of making research data available openly while protecting the right to privacy of participants. The more raw data is released, the greater the risk to privacy. But as more data is redacted the reuse value is reduced. Because the full implications of being open are often not known until the future, it’s necessary to keep reflecting throughout the research process and into dissemination. In essence, working outside institutions means that researchers must effectively function as their own review panel. It becomes even more important to engage in ethical reflection and develop a working knowledge of ethical risk management and strategies for amelioration. When it comes to releasing research data openly it’s important to reflect carefully. Both qualitative data (interviews, observations, etc.) and quantitative data (survey results, statistics, etc.) can be released in this way but arguably qualitative data might be less meaningful when considered outside of its original context. There’s no way to anticipate what might happen to data that is released openly because it can used by anyone for whatever reason they see fit. If you’re planning on releasing data openly that should be made very clear in your consent forms so that people can know what they are agreeing to. Given that we can’t always fully anticipate the specifics of future situations it’s especially important for open researchers to be aware of future possibilities. There is a real need for using one’s own judgment and reflecting on the ethical dimensions of research for oneself. When working in the open – potentially beyond institutional reach – an awareness of ethical principles and how they should be applied is essential. 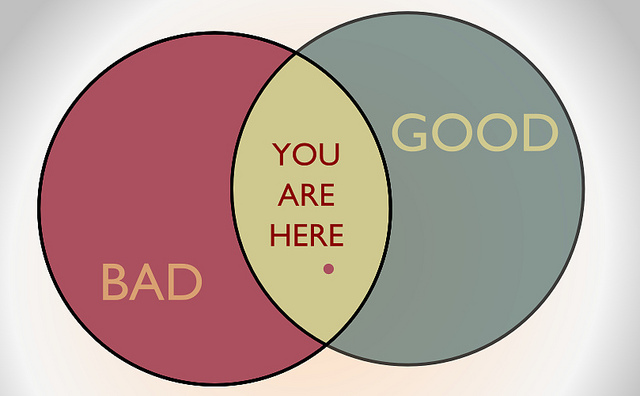 We might say that thinking for oneself about ethics is characteristic of a ‘good’ open researcher. Activity 8: What qualities does a ‘good’ open researcher have? What other kind of qualities, skills or attributes might a ‘good’ open researcher have? Are they the same qualities that we would expect of a non-open researcher? What does ‘good’ open research look like? What might be the benefits? Either think it through yourself, research online, or discuss with friends or colleagues. This was probably the exercise that learners on the moderated presentation of the course found hardest. It possible to interpret the question of what makes a good open researcher in two different ways. A more abstract approach might involve identifying the characteristics and personal qualities of such people. There are several examples of where researchers have tried to identify these. For instance, Pring (2002) frames the virtues of educational researchers in terms of: positive interdependence; individual accountability; promoting success; trusting relationships. Toledo-Pereyra (2012) suggests the following qualities: interest, motivation, inquisitiveness, commitment, sacrifice, excelling, knowledge, recognition, scholarly approach, and integration. It’s noteworthy that openness can be seen as a distinct consideration in this way, even if one has no interest in openness as a specific concern. The need to have a certain transparency about the research process and any findings is a long-standing scholarly virtue. Pring, R. (2002). The virtues and vices of an educational researcher. In M. NcNamee & D. Bridges (Eds. ), The ethics of educational research (pp. 111-127). Oxford, UK: Blackwell Publishing. So far we have looked at institutional processes governing research and ways in which the same principles might be applied outside of institutional requirements. We also considered the ethical implications of being open and the kinds of virtues we might expect open researchers to have. It’s not enough to simply know about good research methods: it’s also important to practice them consistently. The real point to take away from this part of the course is that open researchers need to be bound by the same ethical codes as traditional research. There is even a case for saying that open researchers need a stronger ethical code because they don’t have the same support as institutional researchers. 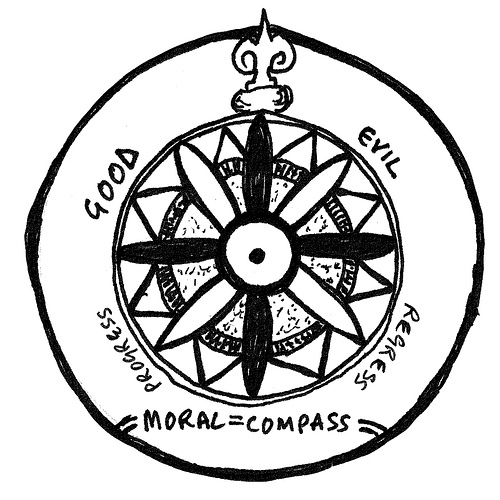 So it’s crucial that as an open researcher you develop your own moral compass. A tool that might be useful for this is A Framework for the Ethics of Open Education. Both the principles of research ethics mentioned in 2.2 as well as resources from philosophical ethics are combined in a tool designed to help people think more clearly about the ethical significance of their activities. (For the full paper including a discussion of the complexities that openness introduces into research, see Farrow (2016). Another resource that might be useful is the OER Research Hub Ethics Manual, which was written for an open research project team to facilitate reflection on ethical issues. Use the materials referred to in Section 2 to help you think about your own values and ethical decision-making processes. Do you act from judgement, or emotion? How do you account for the perspectives of others? Are your approaches to ethics consistent? Philosophical ethics can help us to arrive at answers to these questions. Since every research project is different you may still have questions or things that you are unsure about. Whether you are based in an institution or not, it’s important to keep thinking for yourself, making judgments about the ethics of research activity and the impact openness can have on research.